You’re frazzled. You’re a little stressed out. Your garage sale starts in just 24 hours. What are you forgetting? 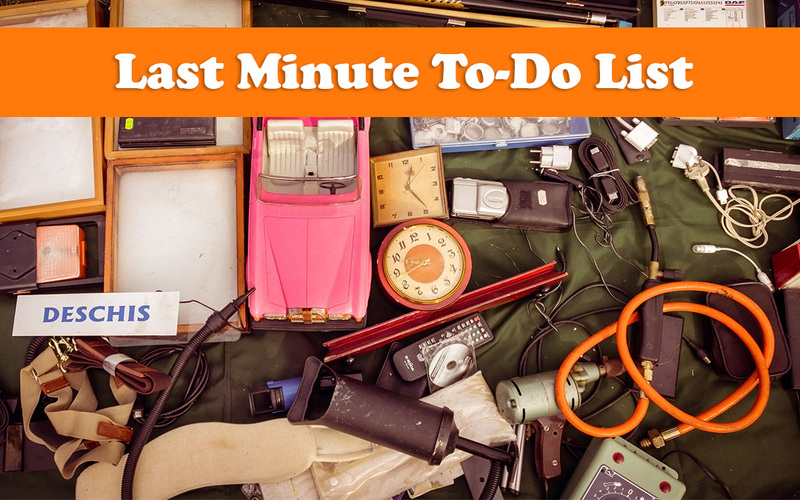 Our last-minute to-do list will (hopefully) help you remember those final items. Cover or move not-for-sale items (planters, garden hoses, etc.) from your yard and garage. Some folks prefer to tape sheets over or throw sheets over these items. These are “day-of” items you should do either the night before or the morning your sale starts. Good luck and have a great sale!